Topic: Looking for a kind soul to give us a guided tour? Re: Looking for a kind soul to give us a guided tour? I've used a mobile mechanic in Aberystwyth. Not specifically on the bongo but on our Zafira. He's really good - give me a shout if you want details. To add, we've used ours a number of times by now - still very impressed with it. We're in N Wales (Flintshire) but come down to mid Wales quite often. Looks like you all had a fab trip. hembramacho wrote: That is pretty cool. Do they remain attached whilst the AFT is closed? No, they have to be removed I'm afraid. Thanks for that Helen. I did have a quick look but was obviously looking in the wrong places. That is pretty cool. Do they remain attached whilst the AFT is closed? Got one window on the front Simon. 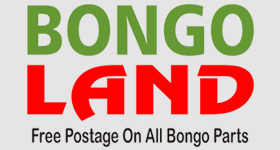 Topic: Have just discovered the existence of the glorious Bongo! Topic locked - see duplicate thread here. I'm going to explore the link you suggested....is it quiet running, please. Yes it is. No louder than when the compressor is running via 12v. Topic: Hello all from Sunny Bangor!! Re: Hello all from Sunny Bangor!! Ps love Bangor - my birthplace!